We are taught as young children that in case of natural disaster, our first priorities should be access to food, clean water and shelter. Keeping our personal and financial information secure is nearly as important. Natural disasters such as hurricanes, winter storms, floods and other extreme weather conditions often knock out power and limit our access to important financial and personal documents that are stored on your computer. Or if your home was damaged, and your information is stored in a safe or just a desk or drawer, you may not be able to get to it. It is difficult to remember where important documents are when you are in the middle of a weather emergency, which is why it’s important to plan ahead and create a plan. These documents are important to have in case of a natural disaster, and will make recovering your losses easier. Forms of identification: These are the most important forms of documentation available. They confirm your identity and status. It is important to remember that public emergency shelters cannot deny you space based on your citizenship status. In natural emergencies, our needs are all the same. Financial and Insurance documents: These are important documents to have access to, especially insurance paperwork, should you need to file a claim on destroyed or damaged property. For insurance policies, you should at least have the policy number and contact information of your insurance company. Medical information: If anyone in your family is injured, you may need this information, and it is important to keep medications current, even in challenging times. It is always best in a disaster that you have the physical copies of your important documents on hand. Buying a small, portable, and durable safe is the best method to keep documents safe and with you in the case of emergency. 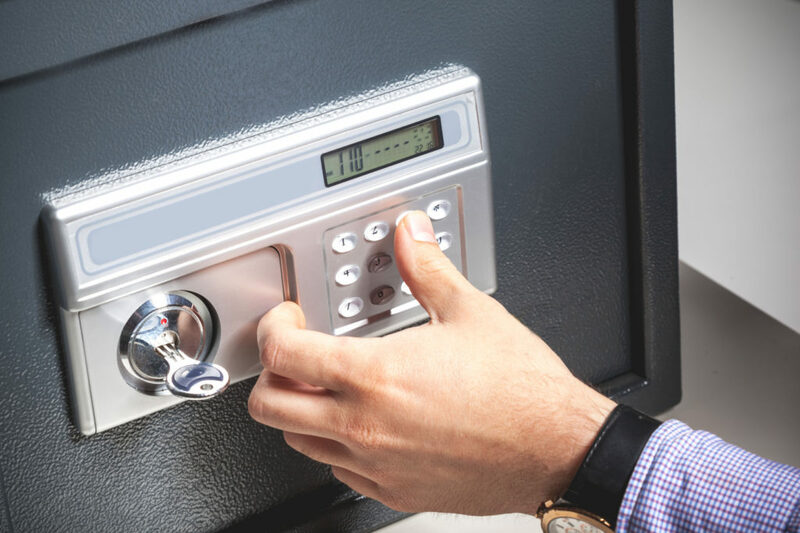 Good safes are expensive, and if purchasing a safe is not financially possible, there are other ways to store important documents. A safe deposit box at your bank will keep the physical copies of your important documents safe and protected. If you have ever consulted with a financial planner, you likely have an electronic vault. Electronic vaults are a safe way to upload important documents online. There are other ways of saving documents online if you do not have an electronic vault. Uploading copies or scans of these files to “the cloud,” using sites like Google Drive (which requires a Google account), Dropbox or iCloud, are very secure. With this, you can have access to your documents on any computer with access to the internet. But be sure to log out when using a computer that is not yours! Using a hard drive, you can upload documents onto it and keep it with you. You can then access the documents on any computer you connect the hard drive to. You should “password protect” the files on your hard drive, so that only you can access the files by putting in a password. Keep important contact information on hand. This can include contact information for trustworthy family and friends, insurance companies and banks. Review your insurance policies in advance. This is important so you fully understand what you will be covered for. Take photos or videos of your home and valuables. Having a record of your home and valuables will be helpful when filing a claim. Upload copies of these photos or videos to an electronic vault or the cloud as well! Set your bills on “autopay.” In the case of natural disaster, it can be hard to access an ATM or the internet to pay your bills. Placing them on autopay will make sure you don’t fall behind on your payments. Being prepared will make natural and weather-related disasters easier to deal with, and make your recovery from them less complicated.